The final monthly golf tournament took place on Dec 7th for the Belize Amateur Golf Association. After 12 months, the 44 members have finished their tournament season. 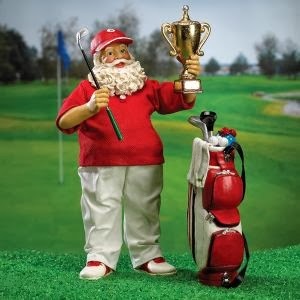 Our yearly awards ceremony will be held after next weeks Dec 14th Roaring River Xmas Invitational Tournament. All invited. Thks to Peter Allen, Chico Towers and Bill Mckenzie and Michel Ardoullie for the prizes this month. The BAGA has had an active year with community work and is delighted that Denisha Francisco from Stann Creek Ecumanical High School was able to visit the players on Saturday. Denisha, who was accompanied by Amanda Brown (Belmopan Womens Group) was the recipient of our school scholarship and eloquently spoke to the members after the tournament to thank them for the sponsorship. We wish her the best of luck with her studies. Denisha is in the photo above, with Amanda Brown, Steve Hack, Andy Hunt, John Sansone and Ray Garbutt Sr.
Southern Chip In : Steve Hack, Slavek Machacka, Sam Mathias.